This page is a profile summary of the strawberry cultivar ‘Chandler’ (Fragaria x ananassa). It will provide details on Chandler strawberry plants and Chandler strawberries so that an informed decision can be made regarding its suitability for varying uses and growing locations. Chandler strawberry suppliers are also listed below if you are looking to buy chandler strawberry plants. Chandler strawberry plants were originally developed in California and have proven to produce exceptional yields in the coastal states as well. The variety is a favorite of commercial strawberry growers in southern California, especially for winter production. 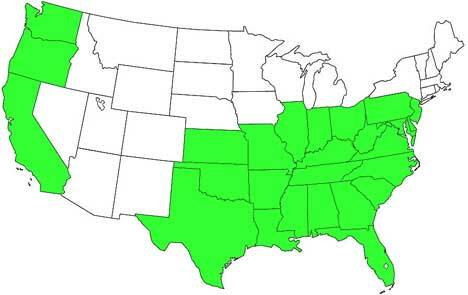 Additionally, Chandler strawberries grow well in zone 5 through zone 8 and are well-adapted to the southern states. Overall, however, California strawberry farmers will see the highest yields on the west coast, and strawberry growers in the Carolinas usually see the highest yields on the east coast. The Chandler strawberry variety also does well in home gardens. For more specifics on the cultivation of Chandler strawberry plants, see the Growing Strawberries page. Chandler strawberry plants are June-bearers and can be grown well in matted rows (although they will likely perform better with commercial plasticulture systems). When they are healthy, the mature plants will grow to be about 8 inches tall and spread 1 foot across, but their roots are shallow. In warmer climates like southern California or Florida, Chandler strawberry plants will be ready for harvest beginning, oftentimes, in March with a harvest that can last up to 3-4 weeks. Under optimal growing conditions, each Chandler strawberry plant can produce a basket of strawberries. Chandler plants are not known to have strong resistance to any of the common strawberry plant pathogens. They are, however, tolerant of gray mold. Chandler strawberry plants are not known for their resistance to common strawberry diseases. They are susceptible to leaf spot, leaf scorch, and red stele. Chandler strawberries also will succumb to anthracnose. The vigorous, high-yielding, June-bearing Chandler strawberry plants produce very desirable strawberries. Chandler strawberries are very large, firm, and produce early-season to mid-season (see the Strawberry Varieties page for more information). The strawberries vary from being long and wedge-shaped to large and conical. They are a brilliant red color, glossy, and have an exceptional flavor profile. Chandler strawberries are good for eating fresh or shipping and very good for freezing. They are, however, only a fair choice for processing. Chandler strawberry plants are protected by the United States government under plant patent #5262. 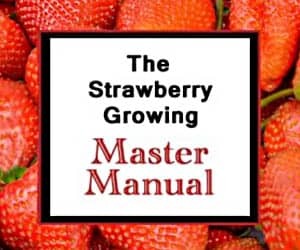 To be an authorized seller of Chandler strawberry plants, a license is required from the University of California Strawberry Licensing Program. The program can be reached at (530) 754-8462. Chandler strawberry plants (as well as some other Strawberry Varieties) are sold in different ways by different suppliers. The majority of suppliers sell the plants by quantity (either 10, 25, 50 or more plants). Some Chandler strawberry plant sellers offer their plants by weight. Be aware that one pound of strawberry plants can vary in quantity. The average number of plants comprising a pound should generally be about 30. However, there can be as many as 40 or as few as 20. If you are wondering where to buy Chandler strawberry plants, the following tables contain reputable suppliers of Chandler strawberry plants. Ison’s Nursery & Vineyard Lassen Canyon Nursery Inc. Peaceful Valley Farm & Garden Supply A.D.R. Bulbs, Inc.
Fax: 530-223-6754 SIERRA-CASCADE NURSERY, INC.
Fax: (828) 743-0174 OSAGE FARMS, INC.
E-mail: steve@crownnurseryllc.com SCOTT FARMS, INC.
Fax: (902) 678-5924 GHESQUIERE PLANT FARMS LTD.
Fax: (910) 602-3106 C.O. KEDDY NURSERY, INC.
PO Box 138, Mt Macedon, Victoria, Australia, 3441. Territory: Italy, Belgium, Germany, the Netherlands, Greece, Luxembourg, Israel, Switzerland, Egypt, Bulgaria, and Hungary. PEPINIERE LUC LAREAULT, INC.
My Chandler strawberries are ripening this fall with greenery germinating from what looks like the seeds on the ripe berries. I scrape the greenery off and enjoy one of the best varieties of strawberries I’ve eaten. Is this greenery growth normal? I am in central Arkansas and have an attractive bunch of Chandlers that do not produce berries. Well, maybe 5 berries out of the 50 plants. Beautiful bunch of flowers, nice bright green plants, but just do not produce berries. My Seascapes are producing a wonderful crop and are in the same vicinity. can you provide the physical identification characteristics of some major cultivars.?? Hello my name is ronald am originally from east Africa but lives in Dallas Texas. My question is how could i get the seeds of the chandler cos they are the only one that does good in my country so far cos i can’t be able to transport the seedlings. Unfortunately, Chandler is a hybrid variety and won’t grow true from seed. So, you’ll either have to figure out a way to import the plants or pick a different variety. I’m sorry! 6 miles from coast in So. Cal. 2yrs. great chandlers. Last 2 yrs. entire crop100 plants failed. Planted Nov. initial growth good. Leaf out nice then center/crown leaves die. Shortly after entire plant dies. Currently using good organic products to build up soil , John & Bobs soil optimizer and my own compost. What’s your opinion on the disease? Should I attempt another yr. of Chandlers? Of another type of strawberry? I’d do neither until you have your soil tested. You might have parasitic organisms that have set up shop in your soil, or your soil may be contaminated with one of the many fungal pathogens to which strawberry plants are susceptible. Good luck! Yes, you should still be able to grow them there. Good luck! I live in east Texas and I have “Allstar” that I bought last year and “Chandler” this year. I lost a whole crop to anthracnose about three years back and after pulling them all up I sterilized the soil under plastic for about a month. I’ve planted mine in pots now and would like to know the best organic way to prevent anthracnose and other strawberry diseases. Thanks! I’d recommend this resource. As for organic solutions, the best way is to keep the soil appropriately watered without letting it get waterlogged and without getting the vegetative parts of the plant or the fruit wet. Good luck! Iwish to plant strawberries in my country(Easthern Nigeria).in that part of the world, we normally have enough rainfall between June through september.can Chandler, sweet Charlie and Oark grow in such tropical area? Secondly, wish know the different between strawberry plant and seeding. It is unlikely that strawberries will do well in your climate, if they survive at all. They are temperate in nature and prefer a cooler home. Strawberry plants are just grown-up seedlings. If you are asking about the difference between daughter/runner plants and plants grown from seed, that is a bit different. Daughter plants have identical genetics to their parent plant (clones) while the seedling is usually a cross-pollinated plant with new genetic material. Good luck! 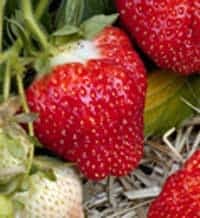 what is the latest fall date chandler strawberry plugs can be planted in zone 7 to get a fair crop the following spring? It depends on the weather, but the risks increase substantially after mid-October. It is best to get them in the ground no later than the end of the first week of October, and planting in September is far better. Good luck! Will my chandler strawberries fruit in Spring and fall? Chandler strawberries are June-bearing and will produce a primary crop in the spring. One or two berries may mature at other times, but the amount will be insignificant. Good luck! I’d recommend looking up your recommended varieties here. Good luck! I am trying to establish a business to export strawberry seedling varieties to some of the Gulf countries. I had a number of successful attempts to grow them in The Sultanate of Oman, UAE and kuwait. Can Chandler be part of these trials as we had good result with Camarosa? Do you recommend any other varieties to this region and what is my chance of importing Chandler outside USA as you mentioned that it is a protected variety? As to the specifics of exporting Chandler, you would have to check with the customs officials in your country. If Camarosa did well where you are, Chandler likely would as well. Good luck! Excellant site. Very informative. Got a question. I would like to grow strawberries in a country called Sri Lanka. This is a tropical country in Asia. The Specific location where I want to grow has temps Ave high in low 70 deg F and Ave low about low 50deg. Will this climate profile suit strawberry growing. If so, what varieties would be recommended. Thanks. Actually, if your temperatures are as you note, they will likely grow there as long as you provide them with the other requirements for growing strawberries. Good luck! WHY do Chandler strawberries make less than ideal preserves? There must be a reason (or two). In all my years of writing about and growing strawberries, the things I have read and heard about Chandler strawberries is that they are not at the top of the list when it comes to preserves. As for the scientific, double-blind, placebo-controlled studies that prove that, I unfortunately don’t have any to share! I can tell you that in the 96 square feet of strawberries just outside my door I have Sweet Charlie, Chandler, and Ozark Beauty strawberries growing. The preserves made from the Sweet Charlies are a notch above the other two. And, via anecdotal evidence, my experience is not unique. Adding lemon juice can indeed help if you don’t have enough pectin, but that isn’t my experience with the Chandler preserves. Other varieties just taste better! Strawberry jams made from the variety Sparkle are (anecdotally) superior to most others. That’s all I have for you in the way of proof (thin, I know)! If you have both Chandler and other varieties in your patch, why not make a few jars of each and then report back? Let us know which of yours is better! Thanks, and good luck! What makes Chandler strawberries less desirable for jam making? Lower acidity? If so, can’t that be easily corrected with fresh lemon juice? The general consensus is that Chandler doesn’t make optimal preserves. However, every tongue and set of taste buds is different! If you are growing Chandler strawberries and would like to make jam, go right ahead! Any strawberry jam makes me happy. Good luck! You can order them online and have them shipped to your door. That is probably the easiest way to get them these days. i bought some strawberry plants in april and had them planted by may, but i dont remember the varity of them and wanted to do some more research on them. they did produce a few berries this spring, but we got hit with a very long and severe heat wave here and most of the blossoms did not set. i am noticeing that they are produceing runners now but i need to move them to a better spot for next year. should i wait until it gets colder, so they are dormant or can i cut the runners until i am ready to move them to a more strawberry friendly plot? No, you shouldn’t wait until they are dormant, if you can help it. They should have time to re-establish themselves in their new location in order to maximize health and harvest. You can click this link for more information on transplanting strawberries. Good luck! can you grow chandlers in February – March in Georgia ? You might be able to in South Georgia if it is warmer than usual, but I wouldn’t recommend trying it.